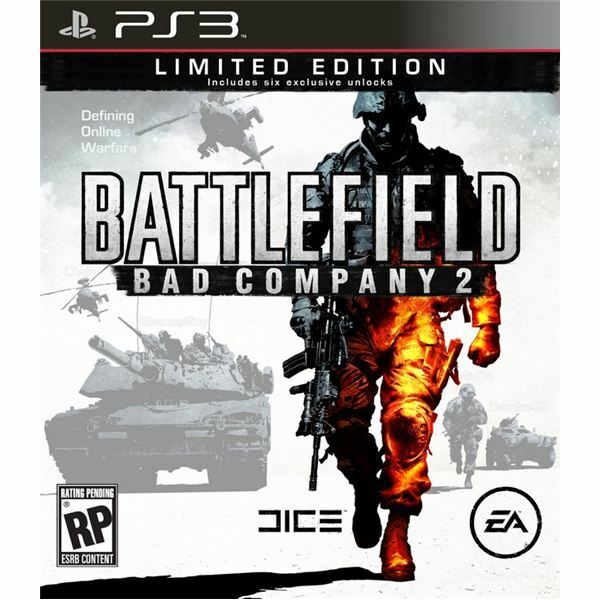 Battlefield: Bad Company 2 for PS3 - Video Game Review - Better than Modern Warfare 2? 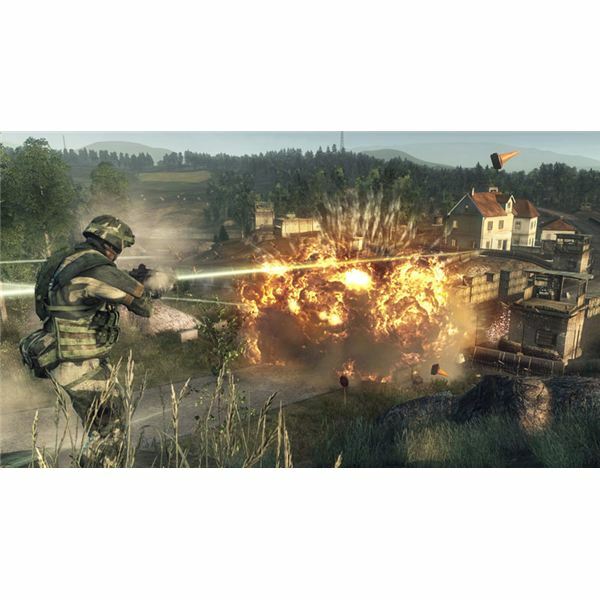 Battlefield: Bad Company 2 for PS3 – Video Game Review – Better than Modern Warfare 2? I bought Battlefield: Bad Company 2 the day after it came out because I loved the original Bad Company game so much. I also bought Call of Duty: Modern Warfare 2 right after it came out and played it religiously until the release of this game. Having played both, if I were to pick between the two then my vote would surely go for Battlefield: Bad Company 2. It really is better than Modern Warfare 2 because there’s so much more you can do in it. The Battlefield series of games has been around for a while. 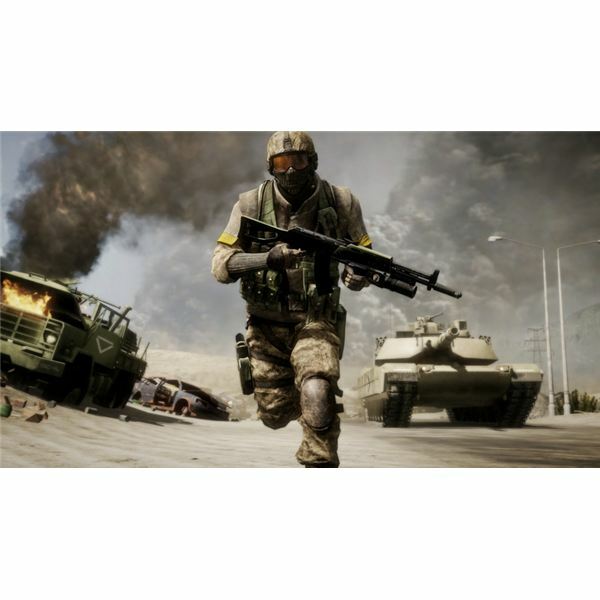 It started on the PC with Battlefield 1942 and has since spawned a variety of sequels and updates that let you play on Battlefields in past, present, and future wars. When the first Battlefield: Bad Company came out, I thought it was excellent with its destructive environments, wide variety of weapons, and the ability to drive vehicles. With the release of Bad Company 2, it’s everything the original game offered and a whole lot more. Bad Company 2 is a first person shooter. For me, the main selling point of this game is the fact that you can drive vehicles around. I love the ability to hop in a tank and blow wall sections out of a building in order to reveal a sniper’s hiding place. I love being able to hop in a Jeep or on an ATV and race across the map and right into the enemy’s base. I love being able to jump on a machine gun mounted to a helicopter and gun down enemy soldiers while someone pilots us around their base. You can’t do any of these things in Modern Warfare 2, and that’s why I say Battlefield 2 is superior. Whether you are on foot or in a vehicle, the gameplay never has a dull moment. This is by no means an easy game and it will happen quite often that you’ll never see who gunned you down. The maps have tons of elevated positions and great hiding places, and there are no colors or hovering name tags to distinguish enemy soldiers. You really have to keep your eyes open and watch for movement in order to spot an enemy, and learning how to locate gunshot sounds is very helpful. Casual gamers will probably find this game very difficult, but I happen to enjoy the challenge it creates. 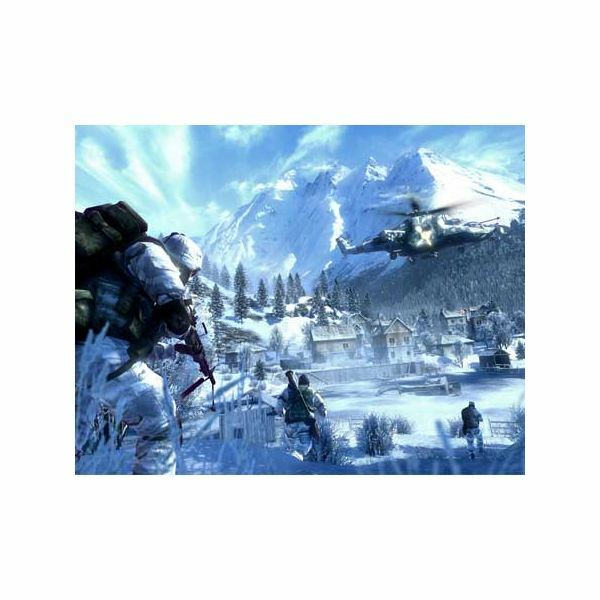 There is a single player campaign and a multiplayer game in Battlefield: Bad Company 2. I only played the single player portion enough to get a feel for the controls, because the main reason I bought this game is to play online. I enjoy online first person shooters very much and really like the variety that this game offers with weapons and vehicles. As far as what you do besides kill the enemy, the gameplay varies between your basic ‘capture the flag’ and ‘defend the position’ type games. During any timed session, the team who maintains control of various locations for the most amount of time will be the winner. The multiplayer part of this game employs more of a teamwork aspect than does Modern Warfare 2. Because the maps are larger and there are more and better hiding places. This is a game where using a communicator device will come in handy. It’s not uncommon to hear players shouting out warnings to each other. While Modern Warfare 2 is more run-and-gun, this game is a bit more tactical. I tend to be the one who gets killed more than anyone else because I prefer to keep moving rather than stay in one place and camp or snipe. The graphics in Battlefield: Bad Company 2 are incredibly realistic and I especially love being able to knock down buildings. As you pump shells into structures, you will see wall pieces explode out, roofs fly off, and eventually the whole thing will collapse. It’s even better when enemy soldiers are inside. The soldiers, weapons, and vehicles all appear very lifelike and are depicted realistically. This is definitely not some kind of cartoonish video game, and the look of it all makes the gameplay that much more immersive. One real standout aspect of the graphics is the use of smoke effects and flashy lighting. For example, when a tank is hit with a round you will see a huge cloud of smoke. When heavy rounds of going off nearby, or even explosions, you get a lot of bright flashes that helps make increase realism since it would truly be dizzying to be in the middle of a firefight such as the ones in the game. I was actually glad that there weren’t things always floating through the air like in Modern Warfare 2. The sound effects in this game are amazing and it really makes great use of surround sound for helping you to discern enemy locations. You should listen very closely for sniper shots, especially. Being able to take out a hidden sniper will save you and your teammates a lot of trouble. The game is also extremely profane with lots of F-bombs and pretty much any other cuss word you can think of. The soldiers tend to shout out catchphrases from movies and sometimes it is funny, but the language is raw enough that you might want to play this one with a gaming headset or the speakers turned down low if there are any children in the house. Battlefield: Bad Company is, without a doubt, the better game when compared to Call of Duty: Modern Warfare 2. They both have many similarities that make them fun games, but Bad Company 2 has much more to offer the player in terms of diversified gameplay. The bottom line here is that if you like first person military shooters, then you need to be playing Battlefield: Bad Company 2.